This is a beautiful, and extremely well made and designed Elevation dress. Embellished is an understatement. 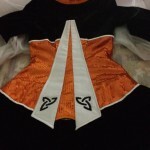 The Copper orange bodice is a sparkling sequin material that is decked out in hundreds and hundreds of crystals on the front design and on the bottoms on the sleeves and the velvet is a very crisp and striking black that contrasts perfectly with the copper and white. Its stage presence is breath taking and elegant. Please note: Light tan staining on the inside of dress, these are extremely minimal. 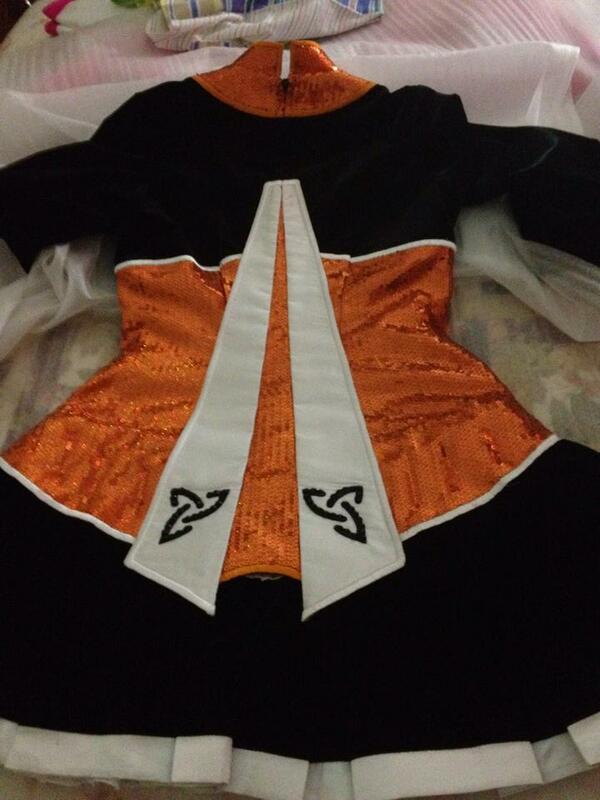 There is 1 inch either side of the back zip of let out room. Minimal let down room. Asking Price: $850 AUD. Shipping costs are not included in the asking price. Sale is final.